72 PLATOONS + 1,800 SOLDIERS !!! PC + XBOX ONE + PS4 !!!! 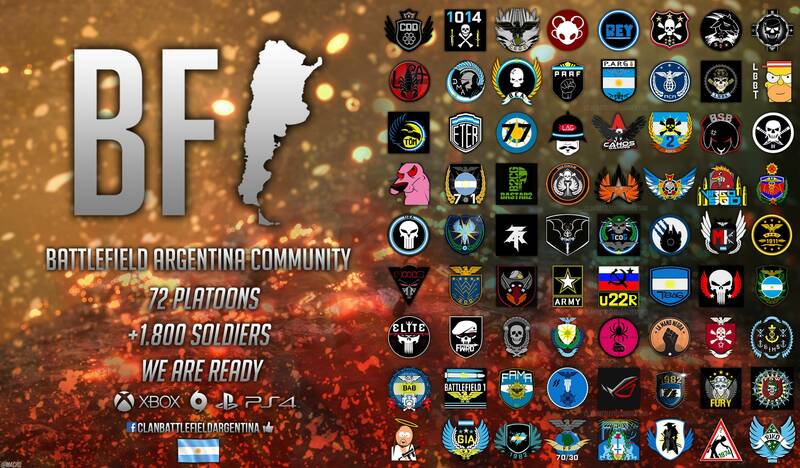 I share a flyer that I made with active Argentine squads! Competitive squads, the best in South America! Friendly squads, they play about all day! Here we are, so that everyone knows that ARGENTINA does have a community!